The Arts Month might have passed but not everyone's love for art! This March, the third South Arts Festival is bringing thousands of art works by hundreds of artists all together in one place! Happening on March 23 and 24 at The Filinvest Tent, Alabang, from 10am to 8pm, this two-day festival is complete with exhibits, art workshops, on-the-spot portraits and caricatures, and a talk on the relationship of art and interior design. And the good news is entrance is free! “We just keep getting bigger and better each year. 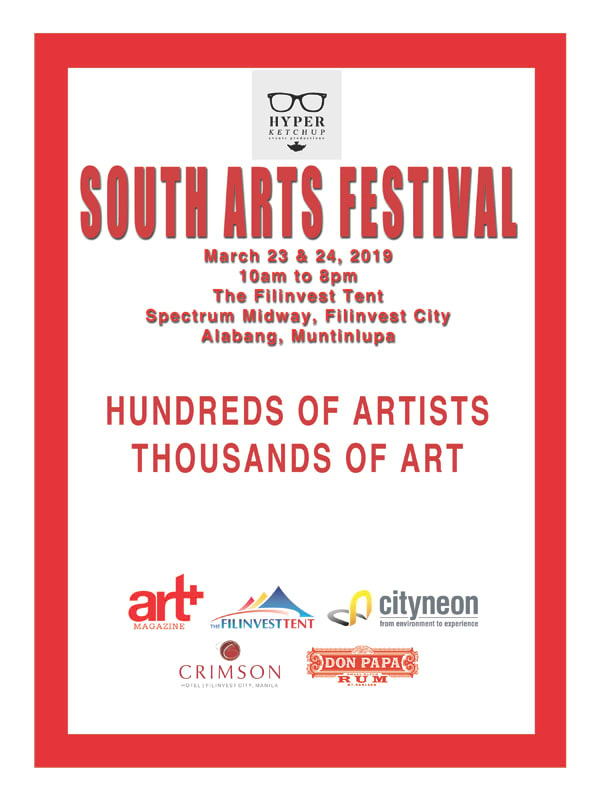 It is encouraging to see the growth of the art community in the South as new aspiring artists and renowned veterans showcase their works together in one venue,” explains organizer JJ Duque, according to the South Arts Festival website. “Definitely, we have a lot of individual artists exhibiting for the first time, and I’m proud that the South Arts Festival gives an opportunity for them to try to showcase and sell their art. It could be a painful lesson, but at least, they have the chance to participate alongside some big names in the art scene,” Duque adds. The Filinvest Tent is located at the Spectrum Midway, Filinvest City, Alabang, Muntinlupa City. For a list of the participating galleries and artists, visit the South Arts Festival website. You can also follow them on Facebook.